This study utilizes the newly developed variable-resolution Community Earth System Model (VR-CESM) with a refined high resolution (0.125º) to quantify the impacts of absorbing aerosol (BC and dust) deposition on snowpack and hydrologic cycles in the Rocky Mountains. BC and dust in snow significantly reduce the snowpack around the mountains. BC and dust in snow also accelerate the hydrologic cycles in the mountainous regions, with runoff increased in spring but reduced in summer. We report on airborne observations from the U.S. Department of Energy Atmospheric Radiation Measurement (ARM) program's Fifth Airborne Carbon Measurements (ACME-V) campaign along the North Slope of Alaska during the summer of 2015. We show how local oil extraction activities, 2015's central Alaskan wildfires, and, to a lesser extent, long-range transport introduce aerosols and trace gases higher in concentration than previously reported in Arctic haze measurements to the North Slope. Inorganic nitrogen has a great impact on marine productivity when deposited to the ocean via atmospheric deposition. Do dust events always increase the atmospheric input of inorganic nitrogen to the ocean? The estimated deposition flux of NNH4++NO3- varied greatly from event to event. A simple assumption of a linear increase in inorganic nitrogen with increasing dust load could lead to a considerable overestimation of the dry deposition flux of nutrients into the oceans. 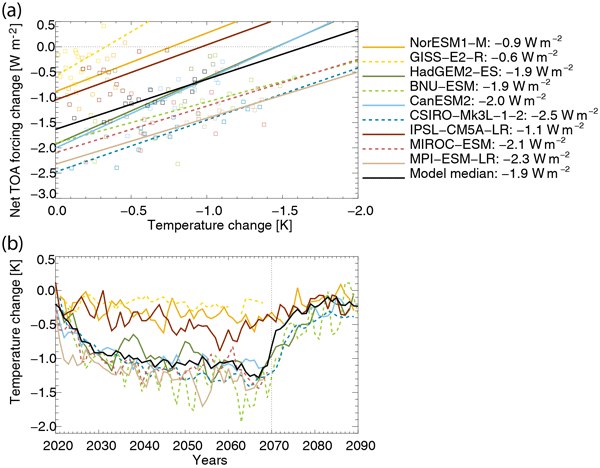 Brown carbon (BrC) contributes significantly to uncertainty in estimating the global direct radiative effect (DRE) of aerosols. We develop a global model simulation of BrC and test it against BrC absorption measurements from two aircraft campaigns in the continental United States. We suggest that BrC DRE has been overestimated previously due to the lack of observational constraints from direct measurements and omission of the effects of photochemical whitening. A unique long-term dataset of NH3 and NH4+ data from the NAMN is used to assess spatial, seasonal and long-term variability across the UK. NH3 is spatially variable, with distinct temporal profiles according to source types. NH4+ is spatially smoother, with peak concentrations in spring from long-range transport. Decrease in NH3 is smaller than emissions, but NH4+ decreased faster than NH3, due to a shift from stable (NH4)2SO4 to semi-volatile NH4NO3, increasing the atmospheric lifetime of NH3. This paper uses three different frameworks to derive nitrous oxide (N2O) emissions based on global surface observations. One of these frameworks employs a new approach that allows for fast computation and explores a larger solution space than other methods. Our results point to a few conclusions about the global N2O budget, including a larger contribution from tropical sources, an overestimate of natural soil emissions, and an underestimate of agricultural sources particularly in springtime. The photolysis of nitrous acid (HONO) forms the OH radical. However, not all sources are known. Recent studies showed that HONO can be emitted from soil but they did not evaluate the importance to the HONO budget. In this work HONO emissions from 43 soil and biological soil crust samples from Cyprus were measured in a dynamic chamber and extrapolated to the real atmosphere. A large fraction of the local missing source (published earlier; Meusel et al., 2016) could be assigned to soil emissions. By analysis of whole air samples collected by balloon-borne compact cryogenic samplers, we found that apparent isotope effect for stratospheric N2O between 25 and 30 km over the Equator is larger than that observed in other latitudes and that it is almost equal to the effect predicted by laboratory simulation experiments. 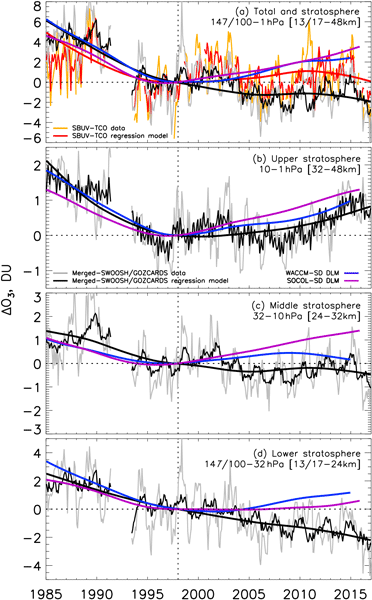 These results suggest that equatorial middle stratosphere can be treated as an isolated region when we consider the decomposition of N2O by photochemical processes. The interactions between aerosols and ice clouds represent one of the largest uncertainties among anthropogenic forcings on climate change. We find that the responses of ice crystal effective radius, a key parameter determining ice clouds' net radiative effect, to aerosol loadings are modulated by water vapor amount and vary from a significant negative correlation in moist conditions (consistent with the “Twomey effect” for liquid clouds) to a strong positive correlation in dry conditions. This study aims to quantify the mass scattering and absorption efficiencies of different aerosol sources at urban (Barcelona), regional (Montseny) and remote (Montsec) background sites in the NW Mediterranean by analysing a source apportionment, first to PM10 and then to scattering and absorption coefficients. With this approach we addressed both the effect that aerosol sources have on air quality and their potential effect on light extinction. We characterized the reversibility of aqSOA formed from isoprene at a location in the eastern United States. WSOCp evaporation with drying was observed systematically throughout the late spring and summer, indicating reversible aqSOA formation. The absolute reversible aqSOA concentrations, as well as the relative amount of reversible aqSOA, increased with decreasing NOx / isoprene ratios, suggesting that IEPOX or other low-NOx oxidation products were responsible for these effects. Examining observed and simulated ozone at about 1000 sites during 1990–2014, we find a clear diurnal cycle both in the magnitude of ozone trends and in the relative importance of climate variability versus anthropogenic emissions to ozone changes, which has policy implications to mitigate ozone at night and other non-peak hours. Satellite-borne data of sulfur dioxide and a new data set of sulfate aerosol volume densities, as retrieved from MIPAS measurements, are studied in the upper-troposphere–lower-stratosphere region. General patterns of enhanced aerosol are in agreement with SO2. Via chemical transport model simulations for two volcanic eruptions in the Northern Hemisphere midlatitudes, we show that the volcanic enhancements in MIPAS SO2 and sulfate aerosol are consistent in terms of mass and transport patterns. To better understand the impact of long-range atmospheric transport of East Asian pollutants over the western North Pacific, we conducted a long-term (2001–12) study on carbonaceous aerosols over the WNP, which demonstrates that the photochemical formation of WSOC and its contributions to SOA have increased over the western North Pacific via long-range atmospheric transport. Biomass-burning-derived carbonaceous aerosols have increased, while primary fossil-fuel-derived aerosols have decreased. As Nepal is a tropical country close to the Himalayas, it is essential to investigate concentration levels and long-range transport potential of persistent organic pollutants (POPs) in its cities to assess whether these pollutants can contaminate the high Himalaya. We found high concentration and long travel distance (> 1000 km) of dichlorodiphenyltrichloroethane and hexachlorocyclohexane in the atmosphere of Nepalese cities, suggesting Nepal can be an important regional source region for POPs. Most soils consume carbonyl sulfide (COS) and CO due to microbial uptake, but whether boreal forest soils act like this is uncertain. We measured growing season soil COS and CO fluxes in a Finnish pine forest. The soil behaved as a consistent and relatively invariant sink of COS and CO. Uptake rates of COS and CO decrease with soil moisture due to diffusion limitation and increase with respiration because of microbial control. Using COS to infer photosynthesis is not affected by soil COS flux. We found that 22–28 % of the low AOD bias in eastern China simulated by the Community Atmosphere Model version 5 can be improved by using a new emission inventory. The concentrations of primary aerosols are closely related to the emission, while the seasonal variations of secondary aerosols depend more on atmospheric processes. 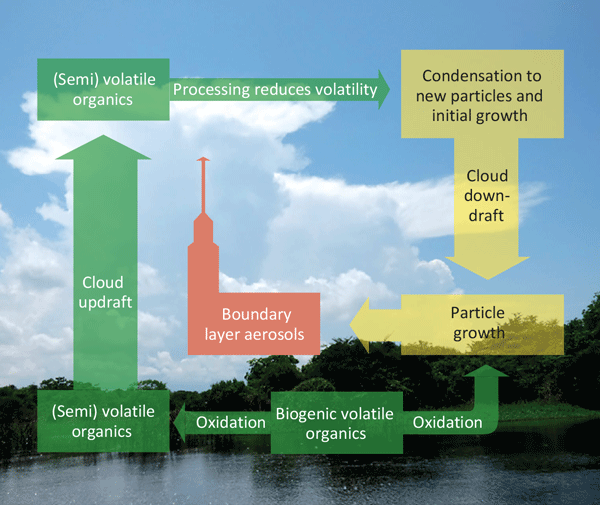 This study highlights the importance of improving both the emission and atmospheric processes in modeling the atmospheric aerosols and their radiative effects.